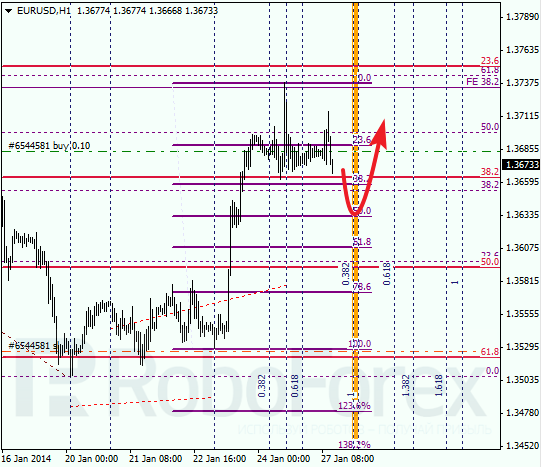 Euro is still being corrected; main target is close to several upper fibo-levels, near 1.3490. 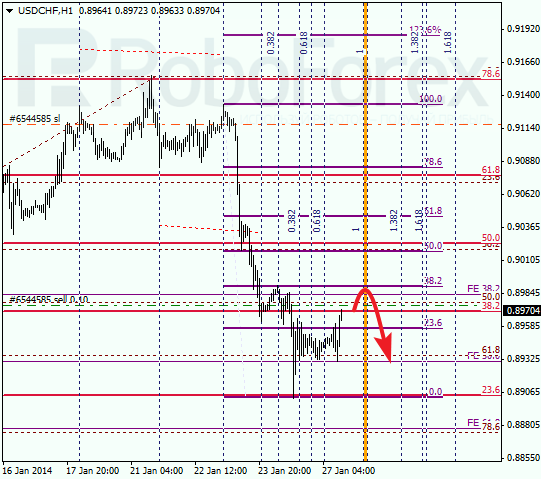 Earlier price rebounded from correctional level of 61.8% and started moving upwards. 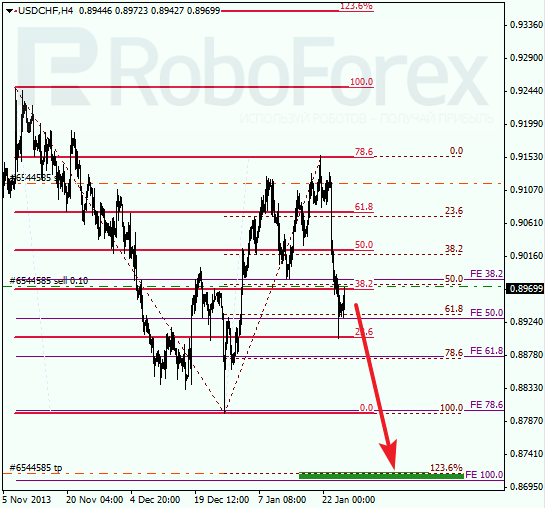 At H1 chart we can see, market may fall down towards local level of 50% during the day. 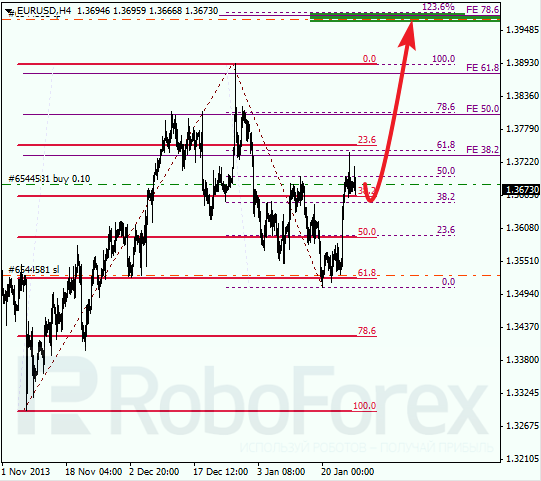 If later pair rebounds from it, price may start new ascending movement. Franc is also being corrected. However, bears may start new descending movement quite soon, that’s why I’m keeping my sell order with target close to several lower fibo-levels at 0.8700. As we can see at H1 chart, correction may yet continue during the day. Bulls are very unlikely to break level of 38.2%. If price rebounds from this level, I’ll increase my short position. After pair breaks minimum, I’ll move stop into the black.